-Posted onto Kind Campaign’s Instagram account by a girl named Rachel after a Kind Campaign Assembly. The filmmakers and Kind Campaign founders, Lauren Paul and Molly Thompson, have traveled across North America since 2009, speaking in hundreds of schools and communities. As a result of their fundraising efforts, all Kind Campaign Founders Assemblies are free of charge for schools. 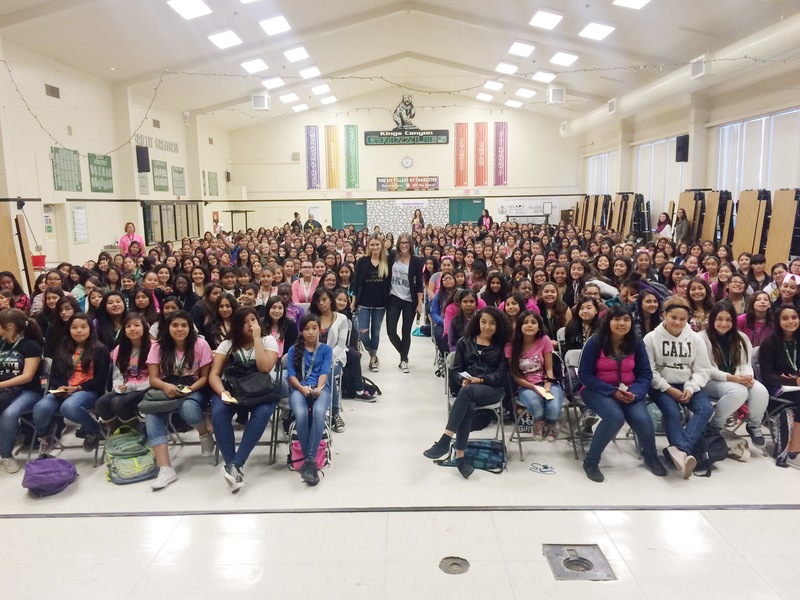 Lauren and Molly go on two school assembly tours a year; one in the Fall during October’s anti- bullying month and one throughout the Spring, totaling at about 70-80 Founders Assemblies a year. If you are interested in applying for a Founders Assembly, please follow Kind Campaign on Instagram, Facebook and/or Twitter at @KINDCAMPAIGN. If you don’t have social media, email admin@kindcampaign.com with the subject: Founders Assembly Mailing List and you will be contacted when the submission windows are open. You will be informed via their social media platforms when the application period to apply for a Founders Assembly is open. After filling out an inquiry form, your school will then be entered into the pool of schools that have applied. Lauren and Molly then analyze the locations of all the applicants and put together a tour that allows them speak in as many schools as possible. Because there are hundreds of applicants for this high- demand program and because Lauren and Molly can only speak in so many schools a year, there is no guarantee that your school will be chosen for the free Founders Assembly. Therefore, booking your own Kind Campaign Assembly is a great option. Please click the next tab to read how you can book your own assembly right now. The Kind Campaign Assembly gives schools the opportunity to host assemblies without the founder’s presence. The Kind Campaign Assembly is such a successful and impactful experience that these events take place almost every day of the school year across the globe. When an assembly is booked, Kind Campaign’s booking agents at IndieFlix work closely with the facilitator through every step leading up to their assembly. 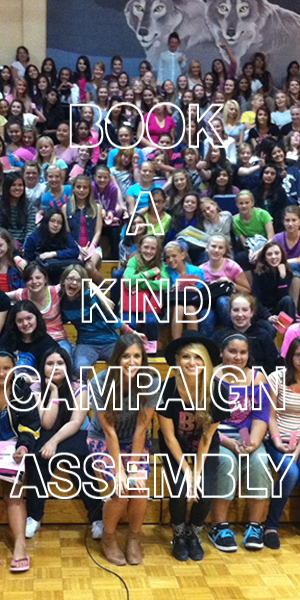 Kind Campaign provides the school or organization with the Finding Kind documentary, along with the Kind Campaign Assembly Guide, which includes detailed instructions, a script for the facilitator, interactive activity templates, discussion questions and talking points, assembly checklist, fundraising ideas and much more. Every week the founders have a conference call with all of the schools that are hosting events that week and walk the facilitator through each step of the assembly to ensure that their students have a successful and inspiring experience. All Kind Campaign Assemblies are free of charge.